In 1869, the Periodic System was composed by Dmitry Mendeleev, giving birth to one of the most significant achievements in science, capturing the essence not only of chemistry but also of physics and biology. 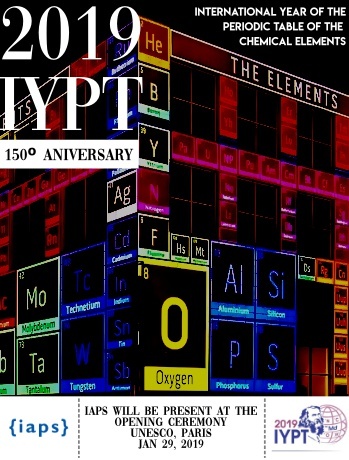 2019 marks the 150th anniversary of the Periodic Table of Chemical Elements, and as such it has been proclaimed The International Year of the Periodic Table (IYPT) by the United Nations General Assembly, and UNESCO. The International Association of Physics Students (IAPS) is honoured to be collaborating in this world-wide event celebrating this monumental achievement in science. We will start the celebrations by sending a delegation of volunteers to the Opening Ceremony event at the UNESCO headquarters in Paris, on January 29th. Fourteen Physics students will meet in the French capital and it will be a very international delegation, gathering students from ten different countries, which goes along with the UNESCO and IAPS goals of integration and cooperation. Throughout the year, IAPS will also contribute to the celebrations by promoting several events and activities occurring worldwide, but also by organising some activities. Following the success of the creation of the IAPS School Day, as a celebration of the 2015 UNESCO International Year of Light, IAPS will host the 5th edition of this outreach event under the topic of Elements and Materials. For the 5th edition, we expect to reach even more people, leaping from the schools already reached in four different continents in past editions. We will be sharing educational and outreach materials to support several local events. Furthermore, IAPS will offer financial help for activities taking place between November 8th and November 11th, in the form of the IAPS School Day Grant, generously supported by the European Physical Society. These outreach or educational activities main target are schools but they can also be open to the general public. The history and science of the Periodic Table and its technological applications, will be the focus. With its materials and grant, IAPS is thus going to foster and encourage the organization of element and materials related activities, focusing the attention of its members on the key role of elements in our society. For the international physics student community, collaborations of this kind are of the utmost importance due to the unique opportunities of scientific and social growth. IAPS is always focused both on the contemporary scientific and technological developments and on the educational and scientific culture. Considering this, being a Supporting Organisation of the International Year of the Periodic Table is going to be a terrific opportunity to provide a young student’s point of view and to enhance fruitful collaborations. 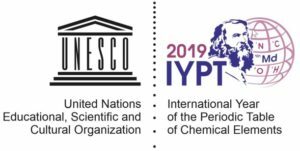 IAPS thanks the support of the Management Committee of IYPT and of the European Physical Society.